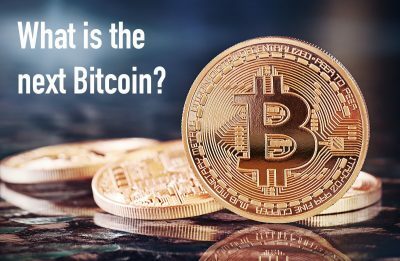 Unless you’ve been living under a rock for the past four years, you’ve probably heard about Bitcoin by now. The superstar of cryptocurrencies is making headlines day after day; it’s gotten so big you can hear the average Joe exchanging investment advice on the streets and speculating on the market. You mention Bitcoin at a house party, and suddenly everyone’s an expert on it. Bitcoin took over the world, and it did it for a reason. It is a brand name, a first-of-its-kind cryptocurrency based on a technology that will change the game forever — the blockchain! And make no mistake, we’re on the brink of a revolution. Whether Bitcoin will continue to “moon” in value is completely irrelevant if we step back and look at the bigger picture. Bitcoin was just a package, a primum movens, the vehicle by which the blockchain technology was introduced to the world. Taking the time to familiarize yourself with the technology of the future is one of the best investments you can make in your life, and this article aims to do just that. If you’re not one of the most tech-savvy people out there, don’t worry about it, this linear guide will make complicated concepts easy to digest. 1 First things first, what is blockchain? Since the advent of (fiat) digital currencies, the traditional financial systems were reliant on centralized trusted parties that had the sole purpose of clearing and settlement of transactions. These central trusted parties are usually big banks or clearinghouses storing massive amounts of data on digital money’s movement on the network which, in turn, makes them massive single points of failure. When a protocol relies on a centralized trusted party, it has to patch the holes in security that the mere centralization creates, and at the same time bear the expenses of doing so. These costs are, of course, integrated into the operational costs of the system, which ultimately leads to additional expenses for the users of the protocol. However, one of the bigger issues here is that centralized or Third Trusted Parties (TTP), as the name suggests, need to be trusted, which is a problem in itself and needs to be eliminated whenever possible. One doesn’t have to be a genius to see this, the arguments are practically everywhere. The recent Equifax data breach resulted in the loss of very sensitive personal data of 143 million Americans. That’s an astounding number for just one hack of one institution. And the Equifax breach of data is just one in a plethora of hacks and security breaches of various centralized trusted parties in the Digital Era. With the invention of the blockchain, all of this can be prevented. We can now decentralize everything. Money, apps, all sorts of data, governance and voting — almost anything that requires rulers, authority figures and centralized trusted parties can be put on an immutable distributed ledger and maintained and verified by the whole network instead of one trusted authority. The revolution begins with the “democratization” of record keeping. Now that you have an idea of what blockchain does, let’s explain how the blockchain works. First, it’s important to understand that since the inception of Bitcoin and the introduction of DLT there have been many variations and technological solutions or “upgrades” of DLT. They’re the result of the ingenuity of developer teams working on different projects around the world. Some blockchains, like Hashgraph or ConsenSys, use different architectures altogether; other blockchains use different consensus algorithms like proof-of-stake, proof-of-burn, or different variations of the proof-of-work algorithm. Blockchains can be private, public, completely anonymous, pseudo-anonymous, or fully transparent. 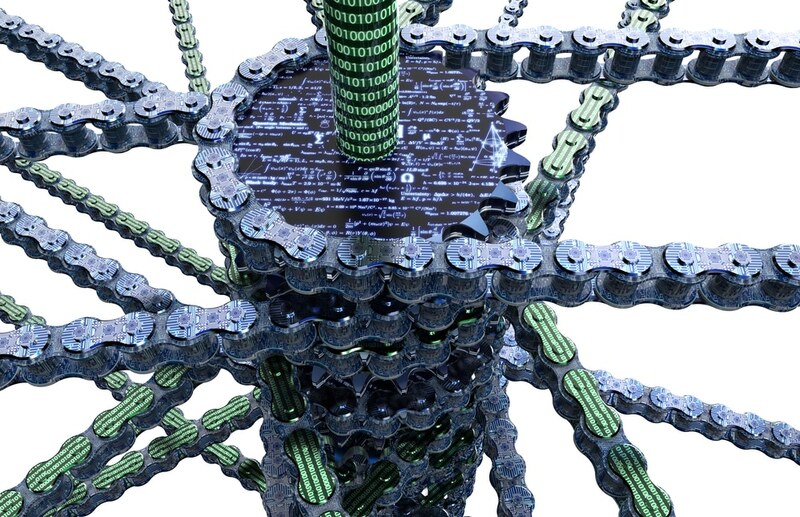 Because going through all of them in detail will turn this article into a 100-page book, the best way to introduce beginners to the inner workings of blockchain technology is by explaining the intricacies of the blockchain model Satoshi first envisioned. A blockchain is a continuously growing list of records grouped in blocks. In the case of Bitcoin, each block can carry approximately 1mb of data which accounts for around 2000 transactions. Because Bitcoin’s blockchain is meant to serve Bitcoin’s purpose as a digital currency, the data incorporated in the blocks consists of the transaction information (inputs, outputs and time). However, you should keep in mind that distributed ledgers can be used to record any kind of data. 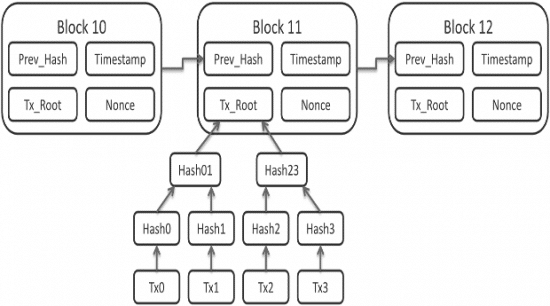 Now, each block is linked to the previous block via something called a hash pointer. Without getting too technical with the cryptography stuff, a “hash” is an output of a one-way cryptographic hash function, which is a “simple” method of data encryption. When you get a hash out of any piece of data, it basically means that you can’t reverse engineer the input from the output of the hash function. In Bitcoin’s case, the block header is hashed to produce a block ID, and because every continuous block contains the hash of the previous block (called parent block) within itself, a sort of an immutable chain of blocks is created. But, now you’re wondering, how does the network decide the state of affairs? What if someone wants to add an invalid piece of data (let’s say a double-spend transaction) in the blockchain? Well, solving what is called the “double spending problem” without the need of a centralized trusted party is what makes the invention of the blockchain special. The blockchain does this by reaching emergent consensus by “majority vote.” Put simply, the “true” state of the blockchain is decided by the 51% of the network, where a “vote” is interpreted as the hashing power invested into the maintenance of the network. More hashing power = bigger voting power, roughly speaking. 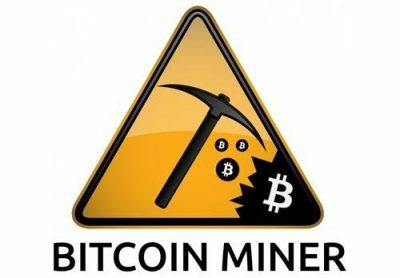 But what does mining a block mean? It basically means that miners are running super-powerful computers that are competing to find the solution to a mathematical puzzle. This method of achieving emergent consensus is called the proof-of-work algorithm because the sole purpose of solving the puzzle is for the miners to expand electrical energy, or “to put in the work.” The logic behind the PoW consensus algorithm is to provide “both the carrot and the stick” to miners that are competing to validate blocks. Those who try to cheat the system end up with discarded blocks and big electricity bills, while those who play by the rules are incentivized to continue to do so by getting two rewards: the newly mined bitcoins from the coinbase transaction, and all the fees that the users of the network integrated into their transactions. Once the miner has confirmed the block by solving the PoW puzzle, the block gets added on top of the previous block forming a chain of blocks, hence the name blockchain. The revolutionary feature of this method of “record keeping” is that the protocol is run on a P2P network, which means that everyone on the network holds a copy of the whole lists of transactions, starting from the Genesis block up until the last block minted in the past 10 minutes. The transparent nature of public blockchains makes them a powerful tool for record keeping and exchange of value and data. The applications of this novel technology are virtually limitless, and only once you’ve understood how the technology works, you can begin to wrap your head around all of the ramifications this disruptive technology brings upon the new world. Smart contracts are without a doubt one of the most significant innovations facilitated by the blockchain. The “contract” is the foundation of a free market economy. Since the dawn of civilization, contracts have evolved and adapted to society’s needs — and the invention of the “smart contracts” is nothing but the continuing of this process. To put this nerdy gibberish into perspective, we’ll use the well known “vending machine” analogy. If you stop and think about it for a moment, the vending machine is the purest, analog form of a self-executing contract. The contract is designed in a simple “if this > then that” manner. If you put a coin and press the right button, then a can of soda will pop out of the machine. If you put the wrong amount of money, you use the machine incorrectly, or the machine is simply empty, it will give you your money back. When we intermingle the smart contract and the blockchain, we get a very powerful tool with virtually unlimited potential. To give you an idea of what this hype is all about, let’s look at some of the use cases of distributed ledger technology. 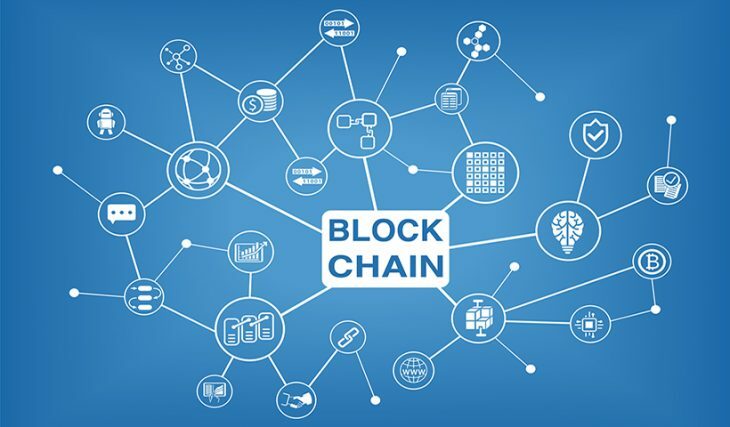 The blockchain is best known as the incorruptible, censorship-resistant, transparent and robust bookkeeping technology behind cryptocurrencies. The implications of cryptocurrency, as an entirely new asset class, are already changing the way we think about finance. There’s a new kid on the block, and it refuses to play by the rules imposed by the ruling elite. Bitcoin was born out of the ideas of the libertarian, borderline anarchic Cypherpunk movement of the 80s and 90s, and it’s massive success speaks for everything that’s wrong with the traditional financial systems. Cryptocurrencies are inherently inclusive. They don’t discriminate and don’t care who you are, where you live and what you do. They’re a “bank” for the unbanked, enabling instant access to a global market for everyone in the world. Cryptocurrencies recognize no borders or sovereigns; they’re not money on the Internet, they are the Internet! That being said, the application of blockchain technology doesn’t stop with cryptocurrencies. Issues of trust, security, resource efficiency, and transparency are the primary issues being solved with Blockchain technology. It is allowing organizations to provide a better service with reduced costs to their consumers. The most prominent players in the money transmitting business, MasterCard, VISA, and SWIFT, have recognized the potential of the blockchain and are already working on developing their own, private protocols to secure faster payments. The CLS Group is also working on a private blockchain to expand the number of currency transactions it can settle. In addition, the big banks are slowly but surely waking up and realizing that this new kid on the block is challenging their comfortable monopoly and that they need to get back to work. This much-needed “reality check” will ultimately bring new, vastly better and less expensive products to customers around the world. Furthermore, blockchain technology is not applicable only to the financial sector. Governments can improve their efficiency in various ways using the technology. One of the key identifiers of the democratic capacity of a government is the level of legitimacy of the voting process. For all of you living in so-called “first world countries,” voting fraud is almost a non-issue. Yes, it recently got popular in the media via the alleged “Russian hacking of the 2016 USA election,” but to be frank, if you’ve been living all of your life in a tier one country, you’ve never felt the real ramifications of voting fraud and its detrimental effects on democracy. 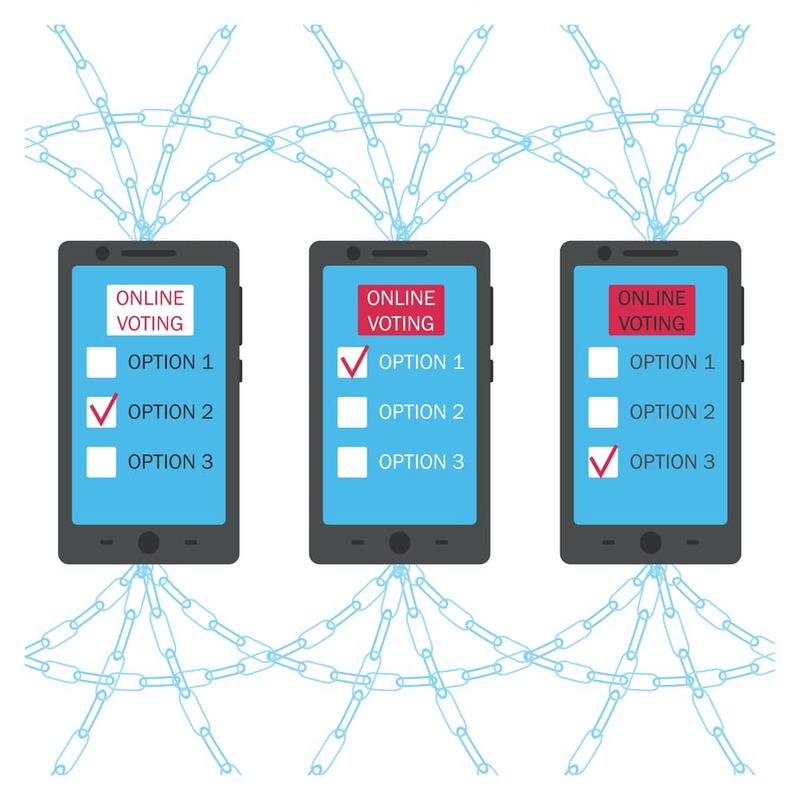 Now, thanks to the advent of the blockchain, we can have an unhackable, completely secure and transparent electronic vote-counting system. The system can be used to secure the registration of the voters, secure the tracking of the votes and guarantee that the votes cannot be tampered with at a later date. If this system gets implemented by governments around the world, voting fraud will become history. Apropos, several governments around the world are already striving to become the next “blockchain capital of the world.” Dubai, for example, plans to move all visa applications, license renewals and bill payments, accounting for over 100 million documents each year to a blockchain based system. The Dubai Land Department, a government agency overseeing land purchases and real estate trades, is moving all of its electronic land registry records and real estate contracts on a blockchain-powered system. Imagine a future where the most powerful social media apps on the Internet are decentralized. Decentralized YouTube, decentralized forums like Steemit, decentralized file sharing, decentralized Facebook and Instagram. Imagine a world where content cannot be censored, where content creators get instant payments in accordance with the quality of their work, a place where you’re not constantly bombarded by ads, click baits, and made a slave to addictive algorithms created to retain your attention and steal your time. Well, this future is coming faster than you’d think, and all of it is enabled by the blockchain! This article aims to initiate you, the profane reader, into the fascinating world of blockchain technology. Hopefully, this article was enough to spark your interests, and incite you to educate yourself on the subject even further. 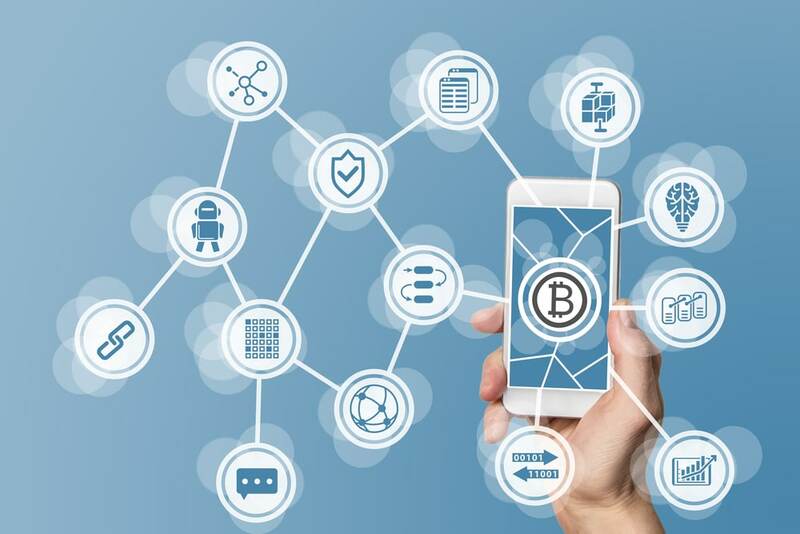 The blockchain technology is somewhat technically complicated, but this should not worry you, as there are a ton of quality sources you can use to get answers to all of your questions. If you’re one of those visual learners and prefer courses over reading books, you should definitely check out the Khan academy Bitcoin course. You’ll learn everything about Bitcoin, starting with how cryptographic hash functions work, to digital signatures and the proof-of-work algorithm, to the security of transaction blockchains. Khan Academy is one of the most reputable providers of free educational courses on the planet and the quality they put out is outstanding. However, all of these resources will provide you with informal education. If you really want to step your game up and acquire your blockchain credentials, you can enroll in the world’s first postgraduate course in Digital Currency at the University of Nicosia. According to their site, “The programme bridges the gap in specialist and generalist knowledge in this multidisciplinary field, and positions the university as a leader in Bitcoin and Blockchain technology education globally.” Getting an MSc in a field related to one of the fastest growing industries on the planet can work wonders for your career. Fellow readers, ultimately it doesn’t matter if you believe in the triumph or the failure of cryptocurrencies and blockchain technology; the bandwagon has started rolling, and there are only two positions you can take; either jump on board or get run over. Previous article Binance Review and Full Guide – What is it?